The best tablet for the money should rank high in a combination of portability, functionality, and screen quality. These things mixed with a long battery life and fast response times are what makes it a good investment. We all want to find a spectacular deal on the best tablet for digital art we can find, but a cheap price doesn’t mean it’s worth the money. A cheaply made tablet may perform well for a while, but it will die after a few months and need to be replaced. Repeat this a few times, and it will cost more in the long run. You want a tablet that is well-built, has lots of memory storage, and combines as much software technology as possible. 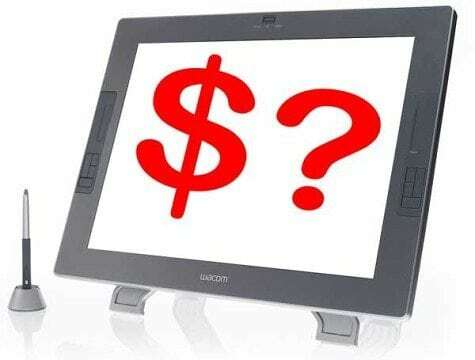 Investing in one of the best value graphics tablets may mean spending a bit more money upfront rather than saving money on a less expensive model. Tablets that couple a smaller size with the capabilities of their larger counterparts are great for tight work spaces. Medium tablets offer more screen space for a better visual experience without completely replacing your laptop. Large tablets have bigger screens, higher resolutions, and better displays. Desktop tablets replace laptops without requiring keyboards. They have a generous screen size and more memory capacity resulting in more functionality. When space is limited, smaller is better. You may not think that a compact 8.25 x 6-inch tablet can do much, but this little guy can hold his own against the bigger tablets. Tablets with USB ports are easy to use since it’s the simplest way to connect to other devices. Smaller tablets don’t always come with USB ports, but this one does. It uses a standard 2.0 USB port to connect to a Mac or PC. Included software is waiting to be downloaded (depending on the tablet version you purchase) for free once you register your device online. It’s also compatible with any other software you own. So you can paint, design, draw comic book heroes, edit photos, and create all types of art on your computer via the tablet. Tutorials and other software can be downloaded at no extra charge. The stylus pen is comfortable and comes with extra nibs. 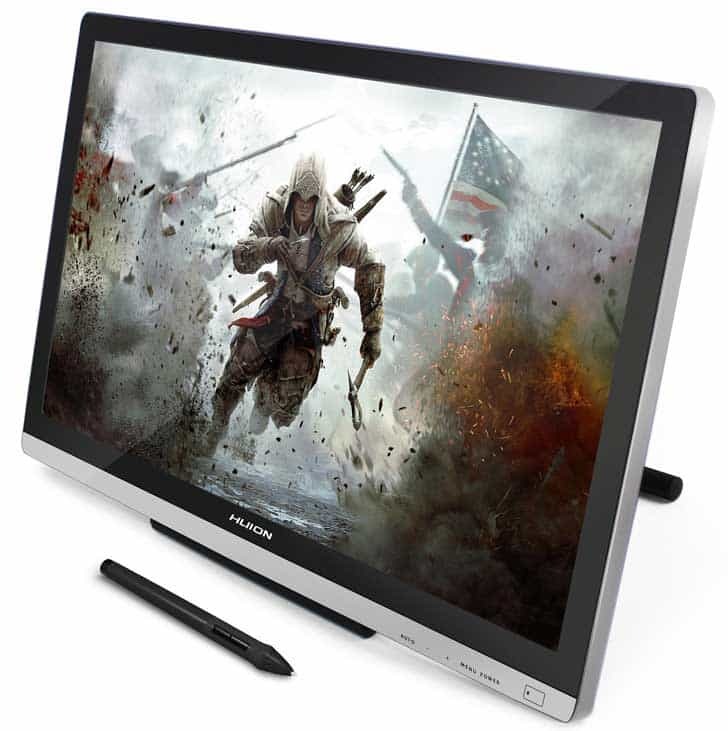 What makes this a candidate for the best value graphics tablet in the “small” category is the various styles available. There are four versions of this petite tablet available. The draw version is designed for artists who specialize in drawing and painting. The software is included and lets you edit photo details, create masks and effects, and draw with unmatched accuracy. Be aware, though, that it doesn’t support the touch control function. 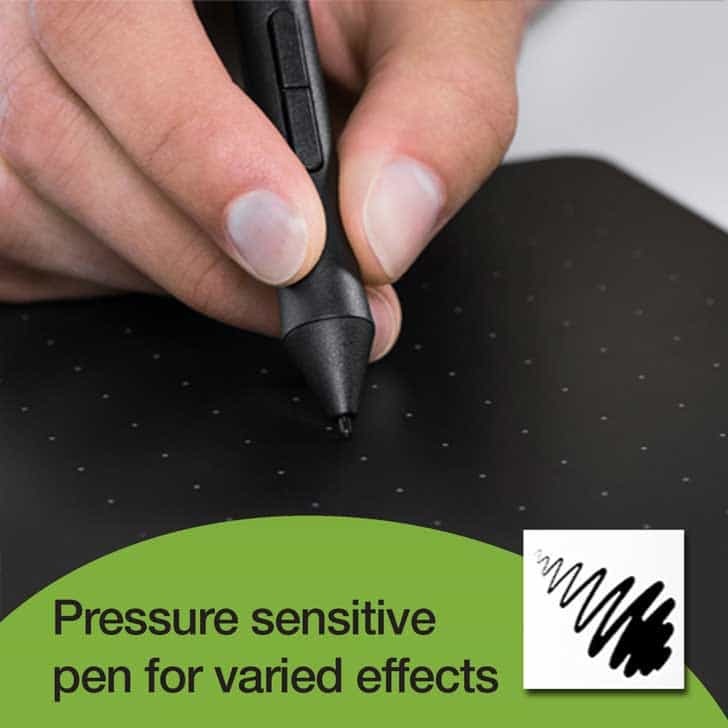 Use the pressure sensitive pen to vary the line thickness as you draw or paint. The touch screen responds to your fingertips to navigate, scroll, rotate, or zoom. The ExpressKey functionality gives the option to program four of your favorite shortcuts like copy/past, undo, etc. Using the multi-touch aspects will speed things up so you can start and finish your projects fast. And with five hours of battery life, you can pump out a lot of artwork. It can be set up for left and right-handed users quickly and remembers your preferences. 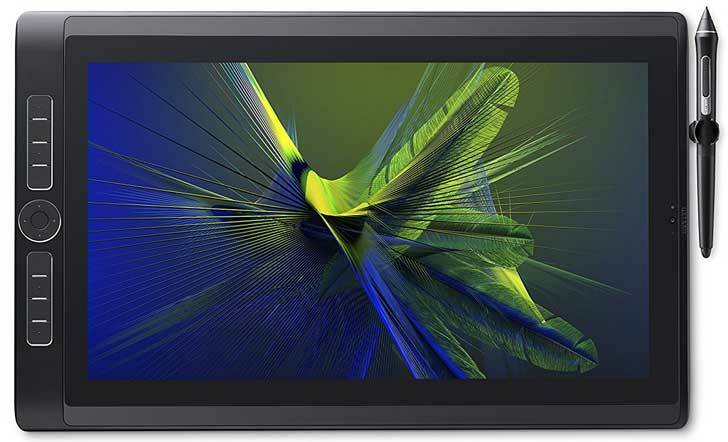 For a compact tablet like this, it has some terrific features that makes it a terrific investment. Coming in around double the price of the smaller tablet, this medium tablet has everything the smaller one has. The main difference is the screen size. It measures 8.75 x 6 inches, giving you more screen to work with. A bigger screen supplies a larger work area and a bigger place for you draw, edit, sketch, and paint. It still has all the bells and whistles of the smaller version, but it can be useful in honing your artistic skills. Plug into your PC using the USB cord, register the device online, and download the included digital software. The art, comic, photo, and draw versions are available in the medium size and include the same software as the small version. Although the screen is larger, the pen is a standard size for all tablets. Several extra pen nibs are included in case you need a replacement. But if you don’t like the pen, you could always go back to using the mouse. All commands can be completed by either the mouse or pen. 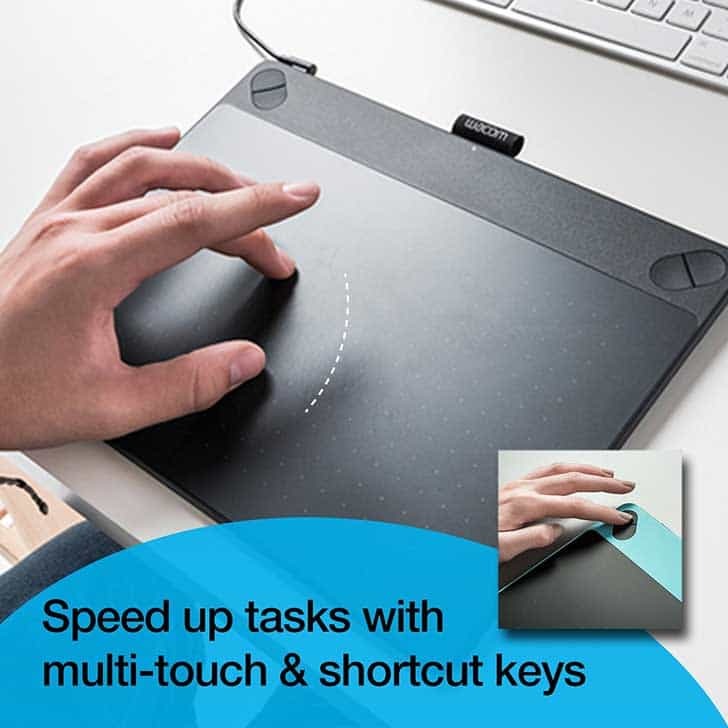 Like the smaller version, this is also compatible with existing software you already have like Photoshop, Illustrator, Sketchbook, Painter, and others. 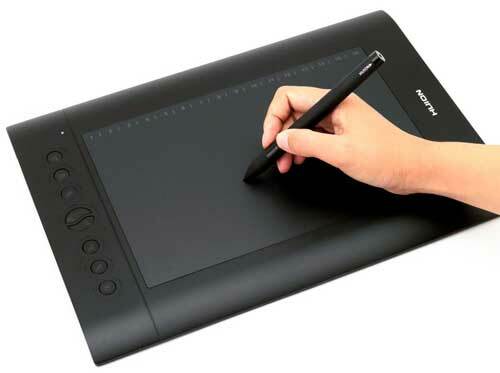 It’s also designed to be used by left and right-handed artists. 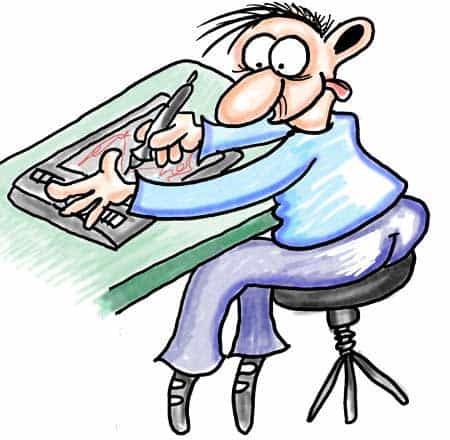 I have the Medium Art tablet which I use if I am on the move and limited for space (I usually use my Mobile Studiopro but out and about where space is at a premium I like to use the smaller tablet) as it is so light, slim in profile and simple to pair up. I have the added bluetooth pairing kit so no USB is required. Unfortunatly Wacom don’t include wifi as standard, which is a pity but the wifi kit is relatively inexpensive if you don’t want to attach to your computer with a USB cable. If you’re looking to hone your skills, this could be the best value drawing tablet to practice on. Its sensational functionality, high responsiveness, and included digital software make it well worth the money. With a screen size of 10 x 6.25 inches, there’s no lack of space. The price is absolutely amazing for a large graphic tablet. There are less expensive tablets similar to this one, but they lack key factors that make it worth paying a few extra dollars. The screen, aside from being spacious, feels like lightly grained paper which makes drawing feel more natural. The smooth feel helps to prevent the pen from slipping around the screen as you draw. To the left of the screen, eight customizable buttons let you program them to your preference. Along the top are 16 hotkeys for erasing, zooming, scrolling, and a bunch more repetitive tasks. A comfortable black glove is also included to reduce hand/screen friction. Your hand will glide over the screen without causing any mistakes. The rechargeable pen feels slightly thicker than a regular ball point pen as it slides along the surface. It contains 2,048 levels of pressure and has two programmable buttons. Depending on how hard you press, you can create thousands of different types of lines. With three AAA batteries, it can survive up to 800 hours of use from a single two-hour charge. A pen holder, four nibs, and a removal tool are included. If you’re an artist who needs the freedom to draw anywhere, don’t worry about lugging around heavy equipment. Bigger doesn’t always mean bulky. This tablet is lightweight, portable, and comes with a stylish carrying case. Or just slip it inside a backpack or briefcase. Open the box, and the tablet is ready to go. No software comes with it, however, but it is compatible with Photoshop, Illustrator, Autodesk Sketchbook, Corel Draw, Painter, GIMP, Manga Studio, Paint Tool SAI, and many others. It’s the best tablet for the money for this size, especially if you already have your own software. When bigger is better, go large or go home. It doesn’t get better than working on a tablet with a full-sized 21.5-inch screen. You may think the lavish price tag is a bit much, but it could be the most beneficial investment you make. With this much workspace, it’s definitely worth the steep price. For some projects, a tablet or a laptop just isn’t big enough. Add an enormous, high resolution screen with a pressurized pen, and you’ll wonder how you survived with anything else. The screen projects over 16 million colors with 1920 x 1080 resolution. That type of display will make your paintings and drawings look more incredible and life-like than you can imagine. Connecting to other devices is easy since it has VGA, DVI, and HDMI ports located on the bottom edge. Compatibility isn’t a problem since it works with Windows 7, 8, 8.1, and 10 (Mac 10.8.0 or higher). It doesn’t have tilt recognition but does have a vertical/horizontal viewing angle of 178 degrees. The built-in kickstand lets you adjust it to a comfy position that invites your hand to draw for hours. It doesn’t come with any software, but it is compatible with a lot of digital software like ToonBoom, Windows Ink Apps, and Adobe. There are no hot buttons, either, since its size consists of just a screen. But without the buttons, you have more workspace available. 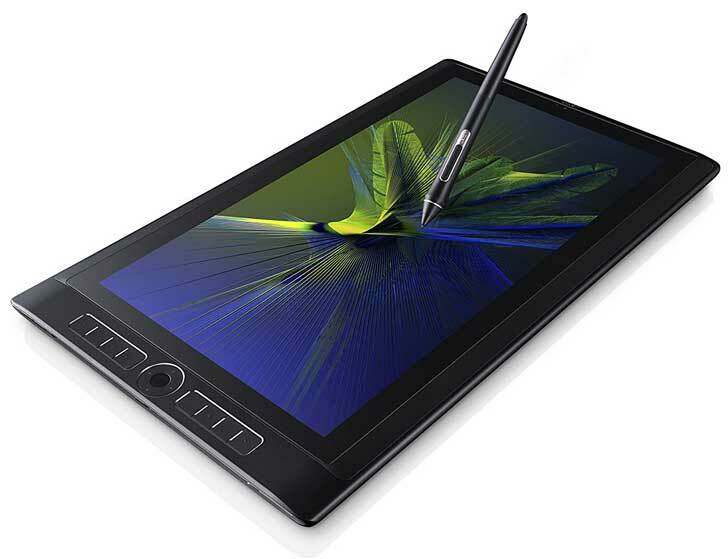 This could be the best tablet for digital art for the experienced graphic artist. An oversized workspace, high resolution, and lots of extras included in the price will give you a very quick return on your investment. How do you fit an entire art studio in to a 16-inch tablet? 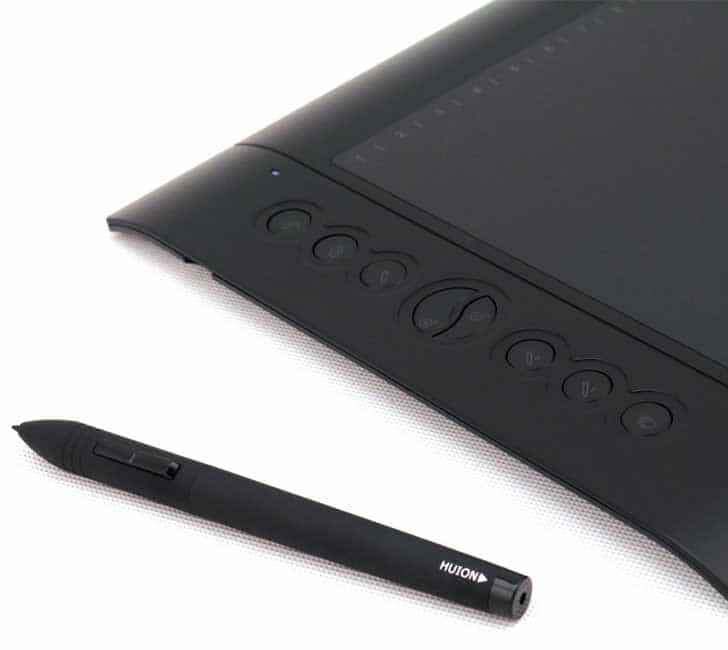 Wacom designed this tablet for the specific purpose of equipping art professionals with everything they need to create while on the go. It has the power to run 2D, 3D, and CAD applications. The Real Sense camera and built-in scanning software lets you capture 3D scans. 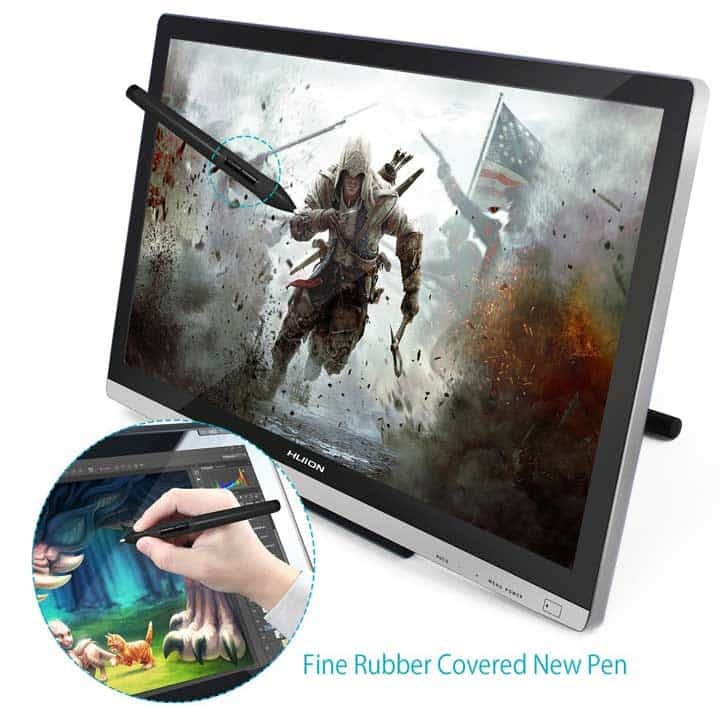 Being designed with the maximum amount of power, it’s the best value graphics tablet we found for drawing, painting, 3D sculpting, motion graphics, image editing, and detailed concept art. The screen has a realistic paper feel that helps the stylus pen slide smoothly over it without skipping. The 4k resolution and 94% RGB color performance displays your artwork in perfect detail. The multi-touch screen capability lets your fingers do the work. Or program the eight ExpressKeys and Radial menus with your favorite shortcuts. The front and rear cameras take high definition pictures, and you’ll be hard pressed to run out of space with the 512GB of storage. Tilt recognition and lag-free tracking are built in to the pressurized stylus pen. Whether you’re left or right handed, the pen and tablet can be flipped to accommodate either. I have recently bought this model and cannot recommend it more highly. It is as smooth as silk to draw on and so responsive. Yes it is one of the most expensive tablets you can find on the market however, in my opinion it ticks every box for me. It is so good in reproducing the feel of pen on paper that I now produce most of my cartoons digitally from start to finish. The mobile StudioPro model is also available in 5 versions (13″ in…128Gb/256Gb/512Gb and 16″ in…256Gb/512Gb) and any of them provide terrific value in terms of quality. 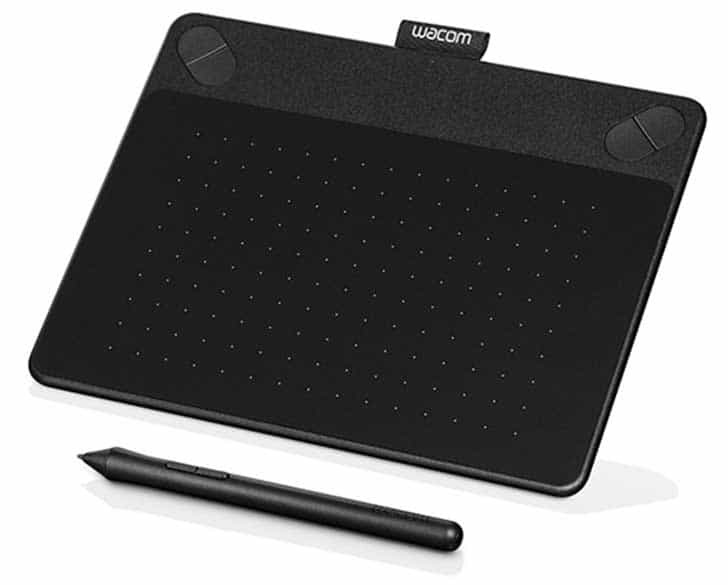 If you would like to see all options in more depth see my review of the 5 Wacom Mobile StudioPro tablets. If you can go the extra mile I would advise you stronly to get this fantastic tablet. In conclusion – what is the best tablet for the money? How do you find the best inexpensive drawing tablet? Develop a plan of action before you start your search. When you decide to purchase a new tablet, figure out your budget and the necessary functionality you need. It will be easier to find the best tablet for the money you’ve set aside once you know what you’re looking for. Designers create most tablets with USB ports, but double check before you purchase. If you can’t connect to the necessary devices, there’s no point in going further. Screen size is relative to how much workspace you’ll have and play a big part in the price. Small, medium, and large screens can make drawing either fun or the worst experience ever. 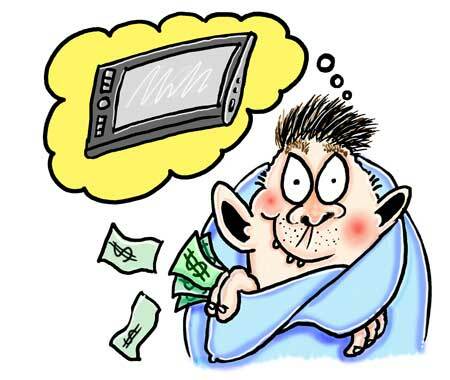 Buying an inexpensive tablet with a short lifespan will drain your wallet. The best tablet for the money you’ve saved is one that will last and help make your artwork come to life. 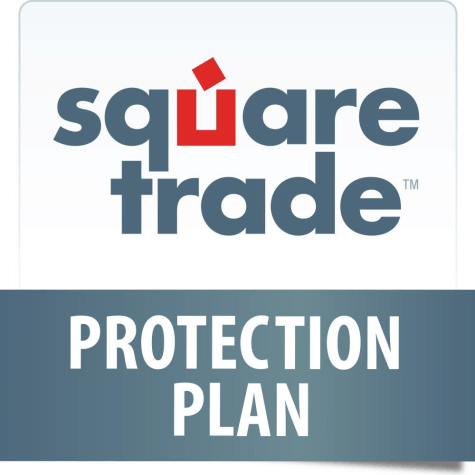 If you are buying a new graphics tablet consider getting some heavy duty insurance cover that won’t break the bank.